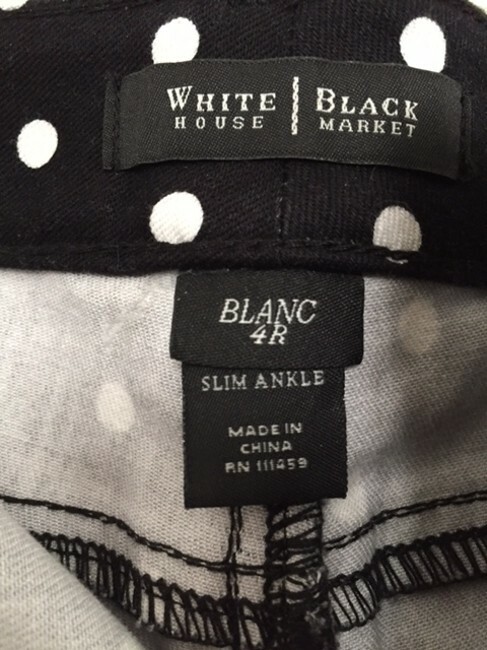 WHBM stretch jean in a polka-dot print. Slim to the ankle, with silvertone rivet and a logo plaque on the back pocket. Blanc universal fit. Eased through the hip and thigh, sits just below the waist. Slim ankle. Inseams: regular 30". 92% Cotton, 6% Elasterell-p, 2% Spandex. Machine wash, cold; tumble dry low.